Co-Is: Anna Rubio (AZTI), Ainhoa Caballero (AZTI), Luis Ferrer (AZTI), Antonio Novellino (ETT), Giuseppe Manzella (ETT), Paolo D’Angelo (ETT), Marco Alba (ETT). 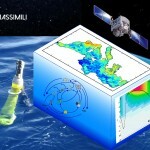 The accurate monitoring of surface transport, which is inherently chaotic and depends on the details of the surface velocity field at several scales, is key for the effective integrated management of coastal areas, where many human activities concentrate. This has been the driver for the growth of coastal observatories along the global ocean coasts. Among the different measuring systems, coastal High Frequency Radar (HFR) is the unique technology that offers the means to map ocean surface currents over wide areas (reaching distance from the coast of over 200km) with high spatial (a few kms or higher) and temporal resolution (hourly or higher). Consequently, the European HFR systems are playing an increasing role in the overall operational oceanography marine services. Their inclusion into CMEMS is crucial to ensure the improved management of several related key issues as Marine Safety, Marine Resources, Coastal and Marine Environment, Weather, Climate and Seasonal Forecast. Enable an HFR European operational node to ensure the link with operational CMEMS. – The INCREASE inventory of European HFR systems. 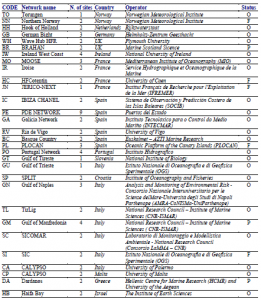 The catalog gathers information on almost all the operational and past systems in Europe as well as on several future or planned installations and has led to a review paper, published in Frontiers in Marine Science in 2017. – The INCREASE THREDDS catalogue. The INCREASE THREDDS catalogue is a demonstration of HFR products in IBI and MED, with examples of basic (radial and total standardized current fields) and advanced products (data-gap filled fields). – The INCREASE tools for interoperable radial and total data production. In addition to these tools (developed in Matlab® language), another customized software tool has been developed in order to transform plain text files containing HF Radar data -ascii format- in European NetCDF format data files. The main point of the software is to help users to adopt the European common model for data and metadata for real time HFR data. This tool named JRadar has been developed using Java™ programming language and has dependencies related to the NetCDF Unidata java library. Report on European HF Radar systems development and roadmap for HF Radar products evolution in compliance with CMEMS needs (D1.1) – This document provides a basic background on the technology, the data, their use, and an inventory of existing applications in European coastal waters as a base for defining the roadmap towards integrating HFR products into CMEMS. Guidelines towards increasing HFR data assimilation capacities into CMEMS (D2.1) – In this document the basic aspects on HF radar data characteristics that can help the strategy of future DA experiments and evaluate the potential of future developments of HF radar products tailored for DA purposes where provided. QA best practices and protocols on QC for radial and total HF radar data (D3.1) – This document provides basic recommendations for the correct application of the QC tests identified by the European community to be necessary for ensuring the good quality of real-time data. Recommendation and guideline to set up the hardware and software tools to provide HFR data to the HFR Node (D4.1) – This document sets the guidelines for the design and development of the hardware and software infrastructure for HF Radar data management. 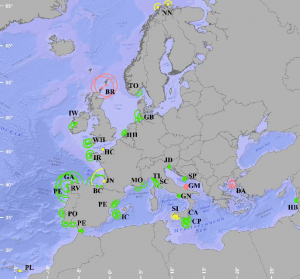 Figure: Map and table showing the location of the 73 European HFR sites listed in the survey and their range (represented by the circles scaled to typical radial range associated to the frequency of operation of each of the systems). Green: ongoing (52); red: past or no longer providing operational data (9); yellow: future installations (12). Extracted from Rubio et al., 2017 (doi:10.3389/fmars.2017.00008).